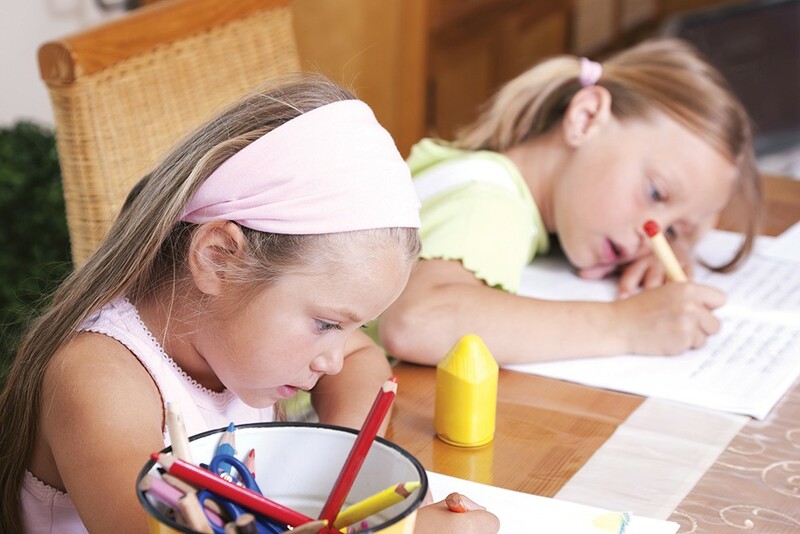 Parenting: What's the right amount of afterschool work for kids? Across the decades, homework has never been especially popular with students. That's something we can all agree on. As it turns out, homework isn't always a hit with parents, either, especially when watching their children — sometimes as early as kindergarten — wrestle with a backbreaking afterschool workload. That's led some of them to question not only the amount of homework that's being assigned, but the necessity of homework in general. Researchers have followed suit. In 2006, Duke University psychology professor Harris Cooper conducted a meta-analysis of scientific studies on homework published between 1987 and 2003. He found a stronger correlation between homework and student achievement for middle- and high-schoolers than for grade-schoolers, but in the end, the only definitive conclusion was that more research was needed. Cooper's study was one of a number of factors that prompted educators to rethink the dominant pro-homework mindset, which arose during the late-1950s Space Race and the ensuing drive to boost America's academic performance. Both the National Education Association and the National Parent Teacher Association have since adopted the "10-minute rule" — that is, 10 minutes' worth of homework per grade level per night. Yet wider trends didn't always align with that standard. A 2015 study published in the American Journal of Family Therapy found that children were receiving up to three times more homework than was recommended. In homes where parents lacked college degrees, conflicts over that level of homework were 200 percent more likely to happen. Nor were families with higher levels of education immune to homework-related strife. "I was just seeing mass-produced, photocopied worksheets. Those packets of homework were created in advance and they weren't formative." And that only meant "arguing, crying and struggling" as she forced her children to complete their worksheets for the sake of completing them. "It didn't feel quite right to me," she says, so she started searching online for studies that supported the efficacy of homework. But that information-gathering process only bolstered her "initial gut feeling" that homework is more task-oriented than truly educational: "I haven't come across any evidence that suggests doing homework prior to grade six is effective in terms of increasing [students'] learning." In time, McCracken came to disagree with assigning any kind of homework for elementary students, beyond supplementary reading and flash cards. She also placed time limits on her children's homework — no more than, say, 20 or 30 minutes per night — when they reached middle school. To her, it seemed far more worthwhile to give her children "authentic responsibilities" like setting the table or tidying, or "meaningful" extracurricular activities like drawing or music instead. For at-risk students who might have less parental guidance, she thinks that homework causes "stress and anxiety" that can make a precarious home life worse. It's worth noting that McCracken didn't arrive at those opinions from a parent's perspective alone. She comes from a family of education professionals, and currently works as an assistant principal at North Central High School in Spokane. Her own children, now close to graduating from high school, don't seem to have been adversely affected by McCracken's stance on homework. She describes them as "well-rounded, excellent students" with "interests that are unique to them as individuals." But does all homework amount to mere busywork? Kristy Masteller, a fifth-grade teacher in District 81's Odyssey program for advanced learners, says that purposeful homework can serve as a good reinforcement tool for the student and a feedback mechanism for the teacher. "To me, homework is mandatory," she says, "because in Odyssey we're moving pretty fast. When, like today, we're working on prime factorization, if the only time [the students] see it was for that 25-minute introductory lesson and 25 minutes where they practiced on their own in class, no matter how bright they are, they're not going to remember that in two weeks when we have a test on it." She likens homework to playing a video game. "There's a part when you introduce a subject, where you practice it, and then you become the master of it. We want to go toward mastery." For Masteller, checking the students' homework from the previous night is also a good gauge of how well each student grasps the subject independently. Or how much their parents helped. "If I'm not getting some kind of feedback," she says, "I'm not able to guide my instruction. But I try not to give 50 problems when 15 will tell me if you know it." What Masteller and McCracken both emphasize is that needs vary by student and family. Masteller, who has taught at a range of private and public schools, including those with students from challenging home environments, says that teachers constantly have to tailor the level of homework to their class to avoid homework becoming more punitive than beneficial. With occasional exceptions, she tends to follow District 81's guidance, which parallels the national guidance. And if, despite the "10-minute rule," a parent still feels their child is overwhelmed by homework? Both Masteller and McCracken agree here, too: Have an honest, respectful sit-down with the student's teacher. It could be that the teacher really is assigning too much homework, or it could be that the student needs help developing better work habits.